Experience the art of ballet with the Greater Niagara Ballet Company. To learn more. . . . 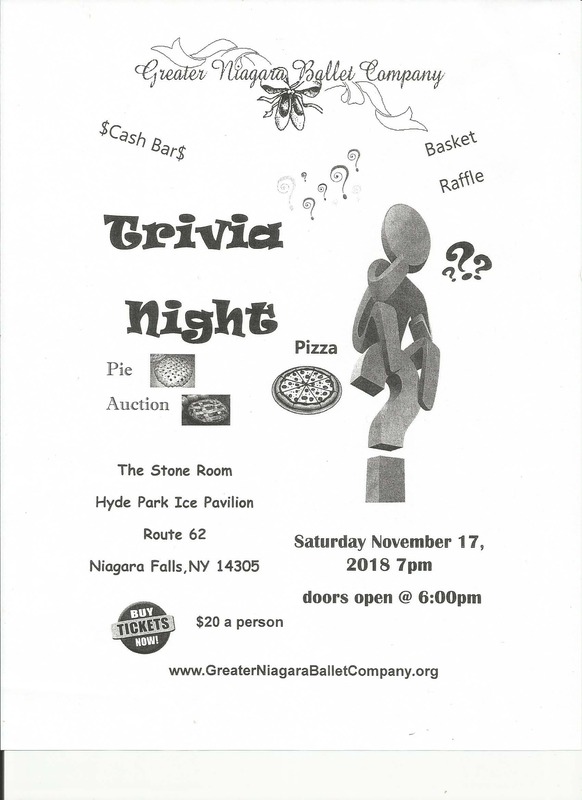 The Greater Niagara Ballet Company (GNBC), previously known as the Niagara Civic Ballet established in 1967, reorganized in 1999 as a 501 C3 federal status not-for-profit organization. By becoming not-for-profit, the GNBC is better able to serve the Niagara Region, here and in Canada. The GNBC is the only local ballet company serving the artistic needs of dancers in both the United States and Canada. A very special Thank You . . . Between 8:00 a.m. and 10:00 p.m.